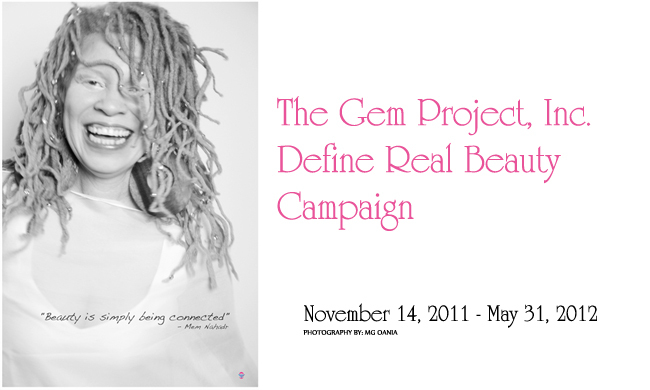 The Gem Project Define Real Beauty staff has some updates for you! We had several this year. 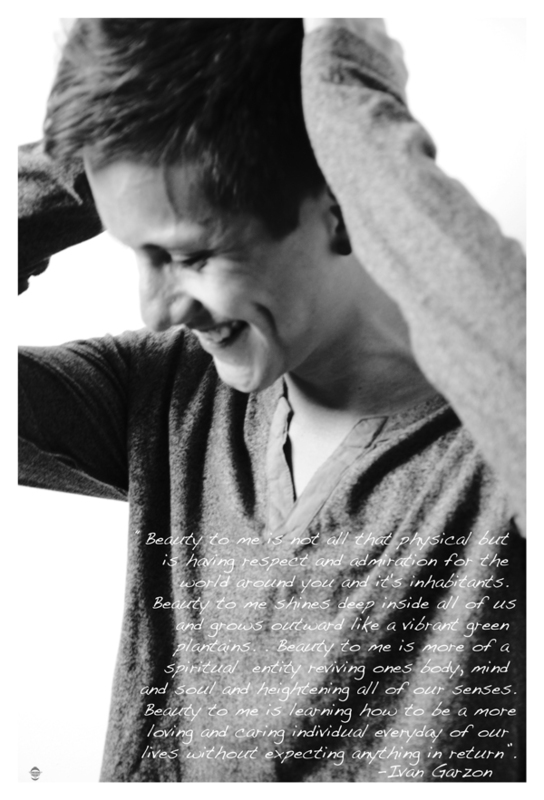 Today, we want to share with you some tear sheets from a recent magazine feature. 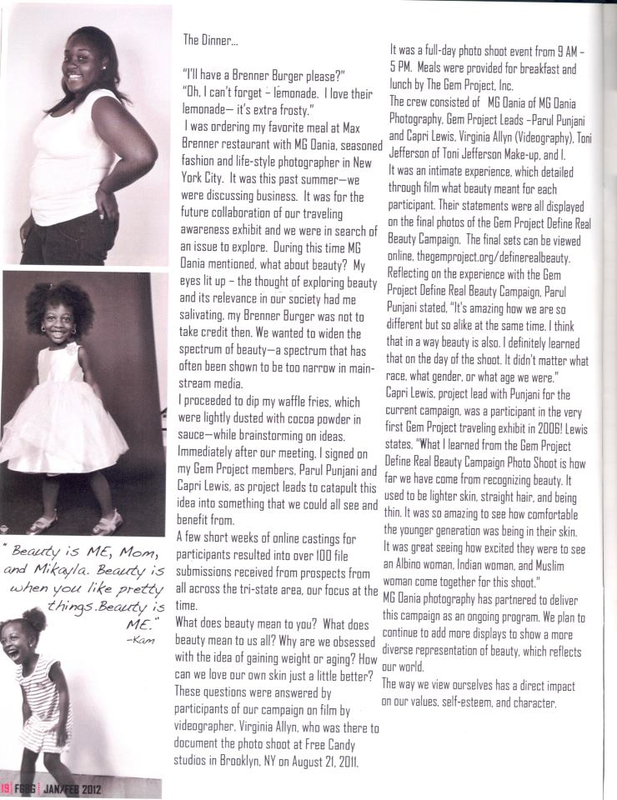 We were featured in the January/February edition of For Girls By Girls Magazine (FGBG). 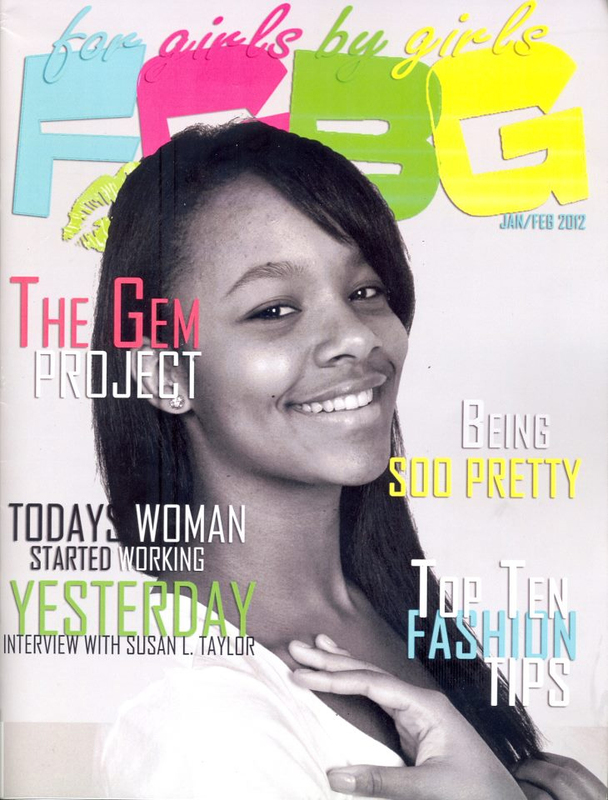 FGBG magazine is based in Newark, NJ and their editor is Towanda McEachern, who is also founder of Supporting Our Sisters. The Photoshop Effect: Should there be guidelines in place for the degree in which photos are retouched in major magazines? Online Form: OPEN – Request The Define Real Beauty Displays Now! We have great news to share soon. First, we will like to announce that the electronic form is open and that you can apply to request the display, The Gem Project Define Real Beauty Campaign, online today! You’re able to borrow the display for up to one week. We are allowing schools, organizations, and businesses to have this opportunity. The form is located: ( HERE ). Act Now, while there are free dates left! 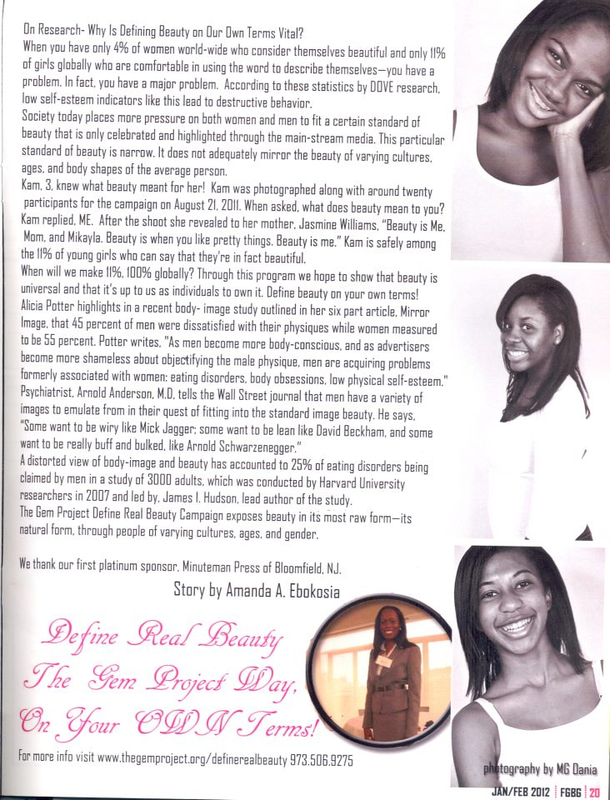 Newark, NJ – November 16, 2011- The Gem Project has released the first set of photos from their traveling awareness exhibit, Define Real Beauty. The Gem Project Define Real Beauty Campaign’s purpose is to explore the wide-spectrum of beauty from varying cultures, ages, and body types. The showcase is set to travel to various venues for up to one week at a time throughout the year, between November 14, 2011 – May 31, 2012. The Gem Project has launched the official website for the campaign to allow schools, individuals, and organizations the opportunity to request their display for educational and awareness purposes (here). The collaboration was set between The Gem Project, Inc. and MG OANIA photography. Virginia Allyn, videographer, filmed a short documentary of the interviews and photo shoot of select participants. Information about the video and its release dates can be seen on the Gem Project Define Real Beauty website. The campaign is sponsored by Minuteman Press in Bloomfield, NJ. 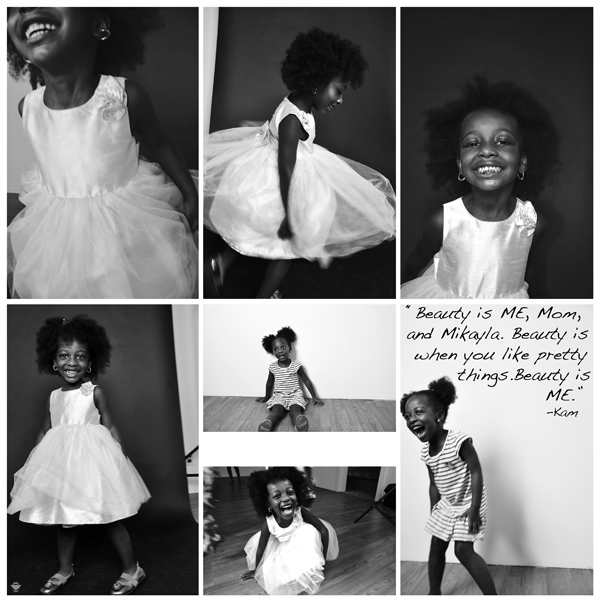 Kam, 3, expressed the following thought of what beauty meant for her, “Beauty is ME, Mom, and Mikayla. Beauty is when you like pretty things. Beauty is ME.” Kubra Tanrikulu, a participant and alumnae of The New Jersey Institute of Technology, stated, “Beauty is modesty,” when asked about the meaning of beauty. The campaign itself aims to empower people and illustrate through the collection of photos that beauty should be defined on your own terms. The success of the campaign is attributed to the hard work of the Gem Project leads of this assignment, Parul Punjani and Capri Lewis. See the first ten life-sized images in the traveling exhibit, (here ). 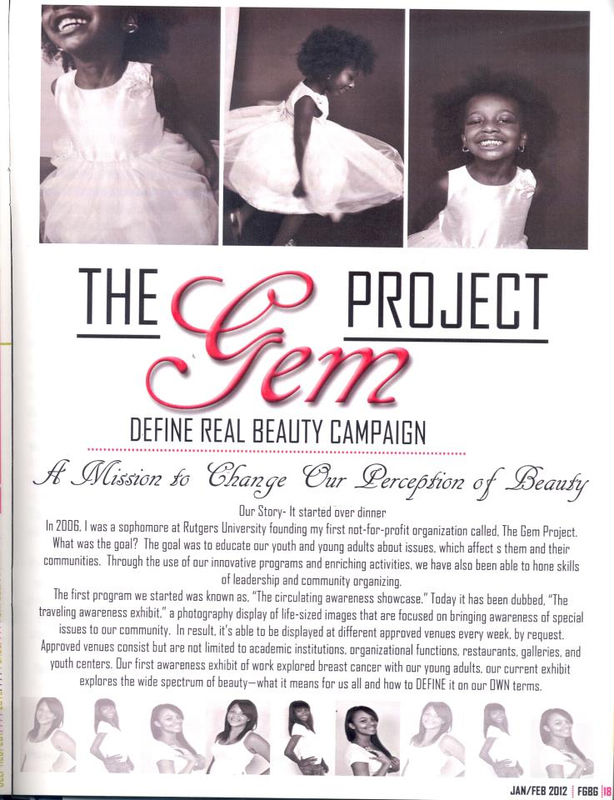 The Gem Project has educated over 900+ persons and has held over 30+ events and programs to date. The Gem Project organization holds both weekly and monthly programs for the community. Q: What does beauty mean to you? A: I will let you know our answer later tomorrow tonight. Comment below or send your responses to our (fanpage on facebook )! Define beauty on your own terms!